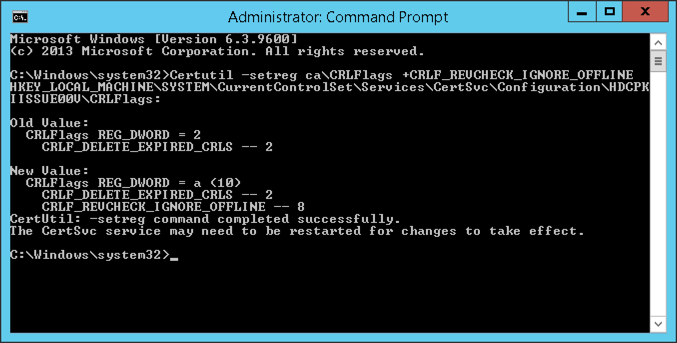 The revocation function was unable to check revocation because the revocation server was offline. 0x80092013 (-2146885613 CRYPT_E_REVOCATION_OFFLINE). OK the way to fix this permanently is to fix your CRL and make sure it’s setup properly, a CRL has been published and is in date, and the CA server can see it. 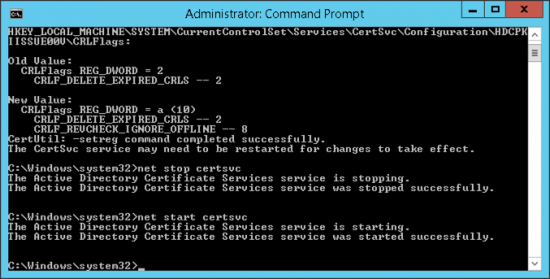 You will need to restart the certificate services. Thanks, after many many articles, this was the one I needed!